This gorgeous combination of 20 vibrant orange and pink tulips is guaranteed to make a lasting impression. The tulip is a seasonally stunning stem that is only available in the colder months, so take advantage of these beautiful blooms while you can. Our Rebecca arrangement features 20 glossy tulips with lush greenery. 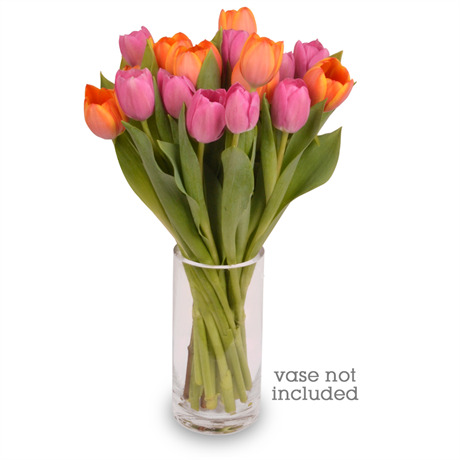 Tulips have a very subtle, fresh fragrance and look magnificent when arranged in one of our stylish glass vases.